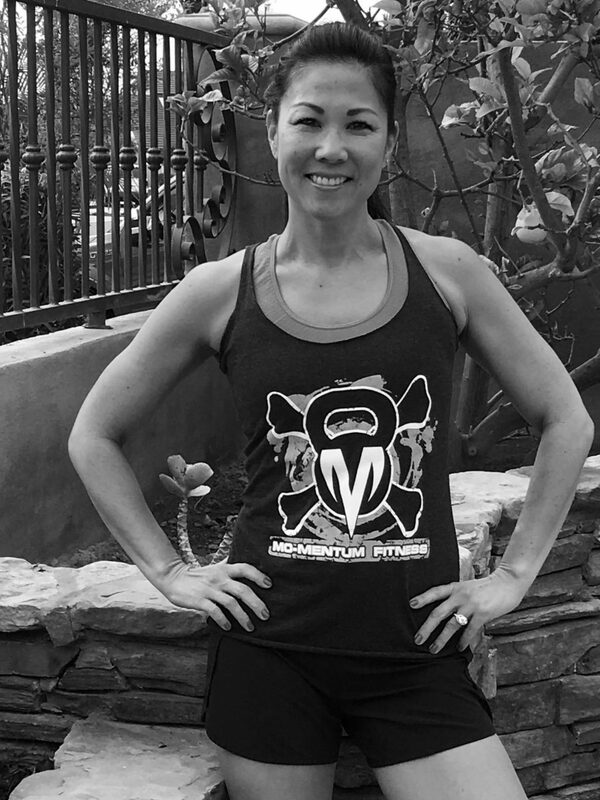 Our Trainers along with Tilly couldn’t think of a better choice to award Superhero status to than Anne Wong. She is one of our most consistent members who is super strong both mentally and physically and never misses a good workout. Oh, and did we mention she is one of Tilly’s best friends? Congrats, Anne! I have been working out at Mo-Mentum Fitness for almost 2 years. A few of my friends trained with Amanda and recommended that I try Mo-Mentum Fitness….I was hooked after just one class with Amanda! Working out at Mo-Mentum Fitness has undoubtedly impacted my life/workout regimen. I am physically stronger than I have ever been and I have learned a lot about body mechanics and nutrition. I have been taken outside of my comfort zone and have been successful with the help and guidance of the trainers. Working out at Mo-Mentum Fitness just makes me happy. My advice for a healthy life is to find an activity/exercise you like and will stick to so it becomes a lifestyle…keep moving! My favorite healthy snack is any fruit that’s in season. When I began taking classes with Amanda, I could only get through the whole class if I used the 8lb or 10lb weights. Now I use the 15lb weights….seeing how my strength has increased makes me feel proud. …and my arms don’t jiggle as much as they used to! I think working out gives me an overall confidence in my life. I believe being physically fit directly affects my mental health. Mo-Mentum Fitness has been a blessing in my life. It’s a gym that packs a punch from the GREAT and knowledgeable trainers, variety of classes/class times and overall positive atmosphere. Most importantly, there is always a sense of family, accountability and encouragement at Mo-Mentum Fitness.